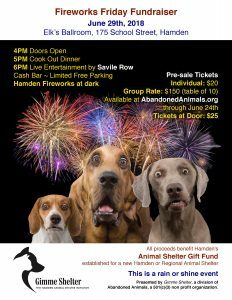 Fireworks Friday Fundraiser (June 2018) – Abandoned Animals Inc. The Hamden or Regional Animal Shelter initiative. Hamden’s 25th Annual Independence Day Celebration. Tickets will be available at the door for $25. 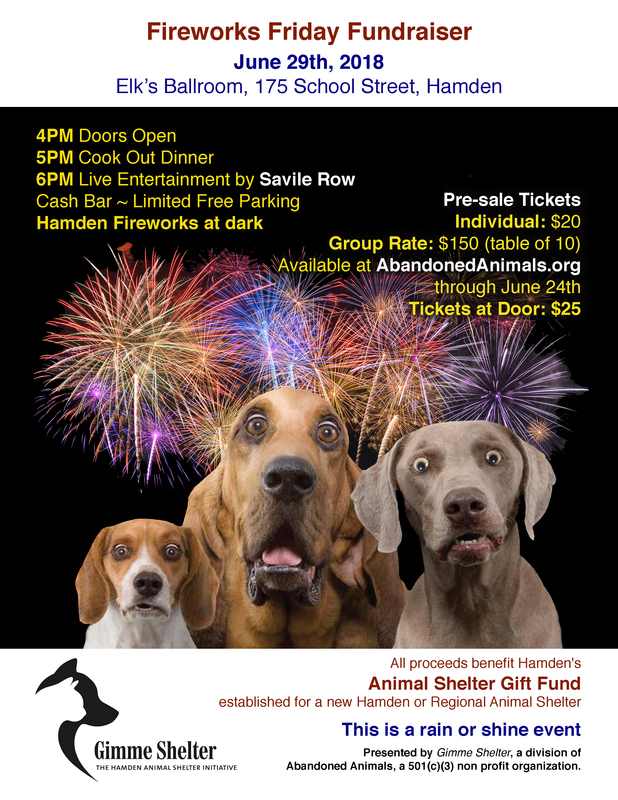 All proceeds benefit Hamden’s Animal Shelter Gift Fund. Post/share our event fliers with other animal-friendly contacts in your orbit. Contact your elected officials and voice support for a new Hamden or Regional Animal Shelter. Gimme Shelter is a division of Abandoned Animals Inc.